Hospital In The Rock has become one of my favorite tours that I have taken here in Budapest. The guided tour in English took us through a history lesson of Hungary that was not only educational. but emotional. Hidden among the nearly six miles of natural caves and tunnels beneath Buda Castle Hill is the Hospital in the Rock Museum, which preserves the history and rooms of a secret underground hospital that was later turned into a nuclear fallout shelter. During World War II the caves were first used as an air raid shelter to help warn the citizen of an attack. Then the Mayor saw another use for the caves and used it as a hospital for the war victims. It was a state of the art hospital for its time and even had a surgical room. After the nuclear bomb went off at Hirashima in 1958, Hungary took action and expanded the hospital into the cave system and added a nuclear shelter. Luckily the shelter was never used and the hospital then turned into a museum in 2008. The Hospital In The Rock only gives guided tours through the small corridors of the hospitals. You will see wax figures staged in various rooms, reenacting how they were used in its time. Hospital in the Rock only takes up a small section of the cave system under Castle Hill. Other sections are used by the Labyrinth and some of the cave systems are state owned and cannot be accessed by the public. With so much rich history, this is a tour you must do in Budapest! The tour takes one hour and is guided. They do offer tours in English. For more information, check out their website. Save 30% on your entry with a Budapest Card. Purchase your card below. 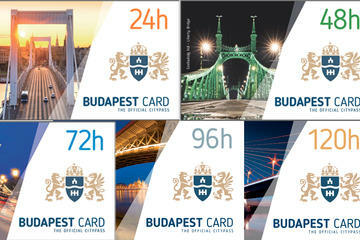 Explore Budapest at your own pace and see the sights you want to see with the Budapest Card! Simply show your card for free or discounted entry to participating attractions, plus use it for free public transport, two walking tours, discounts at local restaurants and more. You have the choice of a 24, 48 or 72-hour card, and each card includes a guidebook with helpful information about the included services. Have you been to the Hospital In The Rock Tour? Don't forget to check out the Labyrinth which is also apart of this cool cave system under Castle Hill.